When Should I Turn My Savings Into an Annuity? An annuity can be a do-it-yourself pension to boost your retirement income. 2. What Happens Once a Variable Annuity Is Annuitized? 3. What Is a Contingent Annuitant? Buying an immediate annuity is one way to turn your retirement savings into a guaranteed monthly income, but plan carefully before committing: Starting an immediate annuity is an irreversible step. When to start the annuity payments depends on the overall financial plan for your retirement. Annuities are retirement income products sold by life insurance companies. If you purchase an immediate annuity, you are trading the amount you pay in exchange for a monthly check that is guaranteed to last as long as you live. The major advantage of an annuity is that it is an income you cannot outlive. The monthly payment of an annuity will be more money than you can earn from other relatively safe income investments, such as bonds or bond mutual funds. If you buy the annuity with individual retirement account or 401(k) funds, the payments are tax advantaged, increasing your after-tax return compared to other investment options. An insurance company bases the annuity payment on the interest rates the company can earn and your life expectancy. This means that if you wait to start your annuity payments, your monthly payment will be larger. Each year you can afford to wait means a bigger monthly check when you start the annuity. For example, one company at the time of publication quotes a payment 25 percent higher if the annuity is purchased at age 70 than if it's purchased at age 62. An annuity should be part of your planned retirement income. The first decision to make is when to retire. Determine your income sources in retirement and how much money they will pay. You will receive Social Security, possibly a pension and withdrawals from IRA or 401(k) accounts. If you have the option, calculate how your retirement income -- including the annuity payment -- will change if you delay retirement for a year or two. 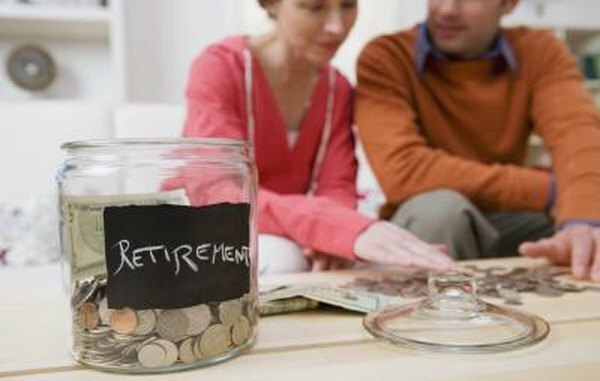 Working a little longer may end up making your retirement much more comfortable financially. Inflation will eat into the buying power of your annuity payment. What seems like a nice monthly check now may not buy much 20 years in the future. Consider spending your savings on staggered annuity purchases. Use some of your savings to get an annuity payment that meets your current income needs and keep some money set aside to buy another annuity in the future when the cost of living is higher. CNN Money: Annuities -- How Do I Know If Buying One Is Right for Me?